Home/Uncategorized/What’s the Best Coffee Maker for High Altitude Brewing? If you just moved to a high-altitude environment, you probably noticed that it’s tough to get a good cup of coffee. Whereas most environments are more than capable of providing full-extraction, changes in temperature and pressure have a negative impact on your ability to obtain a full-flavor brew at high sea-level. The result is a cup of coffee that lacks the palate depth that java heads love. While the sour and bitter notes of a cup will be present, your coffee will lack the sweet and floral tones that give it character. Luckily, there are ways to cope (beyond drowning your coffee in cream and sugar.) If you choose the right brewing method, you’ll be able to enjoy a well-made cup of coffee in no time. It seems strange to think that brewing changes depending on your altitude. For most people, it really won’t: very few people live at an altitude that demands creative brewing methods. But in regions like the Colorado Rockies, altitude can be a real problem for the home barista. The biggest issue is boiling temperature. We’re all taught in schools that water boils at 212 degrees fahrenheit. However, that’s not the whole story. However, every 500 feet above sea level you go, the water temperature lowers by about one degree. If you live 7,500 feet above sea level, that means your water boils at a temperature of 198 degrees fahrenheit. This is disastrous for coffee brewing. Because while most of us measure our culinary actions by the boil, the heat (in degrees) is what results in flavor extraction. 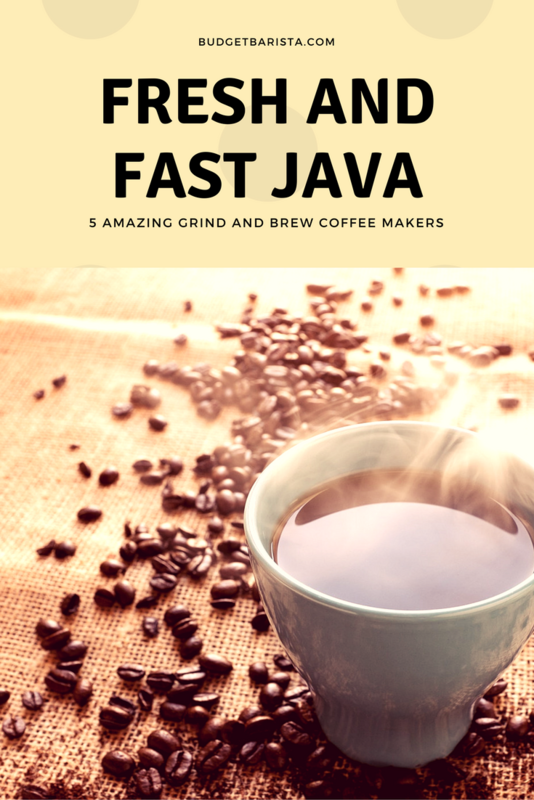 Coffee is brewed using three factors: heat, pressure, and time. Thus, if you cannot obtain optimal heat for brewing coffee, you need to be able to increase the amount of pressure or time in your brew. Because of this, any automatic brewing method, like a Keurig or drip-coffee maker, is off the table in a high-altitude setting. Luckily, there are plenty of coffee methods (old and new) that provide more control in these circumstances. Here are a few things to consider. Stovetop coffee isn’t for everyone. But having lived in the Middle East at various points in my life, I’ve come to love this dense and flavorful method of brewing coffee. There are various ways to make coffee on a stovetop. If you’re an espresso-lover who wouldn’t dream of trying a bitter cup of “cowboy coffee,” the best method is the Moka Pot. This delivers great, espresso-quality coffee from your stove top in an easy way. If you want to try a more unique style, you’ll love Turkish Coffee. Popular in the Middle East, this brewing method involves heating coffee in a specially-designed pot. Use finely ground coffee in the pot, and drink it in a small cup with a bit of water and sugar. To get coffee ground finely enough for the Turkish-style, go to your local roaster or any Middle-Eastern markets in your neighborhood. If you’d rather have a traditional cup of coffee, the French Press is the best way to do it. While using this method won’t help you avoid issues with water temperature, it will help you overcome them by steeping your coffee for longer. If you find that a low-boiling temperature has been affecting the quality of your coffee, add a minute or two of extra steeping. You’ll find that the cup you desire is perfectly achievable with changes in brewing time. Using a French Press requires a special grind. You can ask for it at your local coffee shop, or start grinding your own coffee. The Aeropress is a bit of a new kid on the blog in the world of coffee. But while it may be new, it’s already garnered fame and adoration. That’s because this brewing method allows you to make a great cup of coffee at a lower temperature. And it’s incredibly easy. The secret to the Aeropress is that it’s brewed in an incredibly tight vacuum. This results in an increase in pressure. Because that increase is necessary to compensate for a lack of heat, the Aeropress is a great way to overcome high altitude brewing. 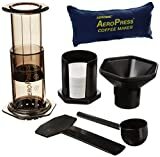 This is probably the easiest and most affordable way to quickly make great coffee in a high altitude setting. So you should absolutely consider adding an Aeropress to your repertoire. For those who need the ritual of brewing a pot of coffee, there are options. 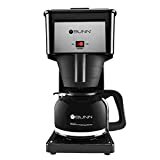 Bunn provides a high-altitude coffee pot that’s perfect for those who want to change houses but not coffee making-methods. The Bunn brewer uses an internal heated water tank. Whereas most methods heat water to boil, the Bunn method specifically ensures that your water is the right temperature every time. Add to that an extraction method that’s incredibly consistent, and the Bunn can even stand leagues above regular drip coffee makers. In my experience, this method is just as effective at a normal-altitude. Because it is concerned with objective water temperature, you don’t need to worry about overheating or over extraction. If you must have drip-brewed ground coffee, this is the way to do it. Making coffee at high-altitude is a challenge. Many people move to a new city and don’t understand what’s causing their morning java to suddenly suffer. Luckily, there are ways around the weakened taste of mountain-brewed joe. Stovetop coffee makers are the old school solution. However, if you want to use them, you’ll have to learn to love strong and potentially grainy coffee. For many of us, that’s no problem. But if that doesn’t fit your taste, you’ll need to use a new method. Both the Aeropress and French Press methods of brewing provide a way around high-altitude by giving you more control. Temperature reductions will always affect the taste of your coffee, but being able to compensate can make it better. Finally, Bunn’s high-altitude brewing system is an incredibly effective way to get automatic coffee at any altitude. No matter which method you choose, finding the right cup of coffee requires a commitment to experimentation. So grab your cup, buckle up, and happy brewing!